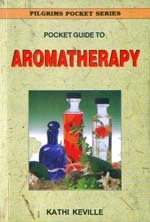 We offer Oils from India along with the popular Nag Champa Oils. ALL OF OUR OILS ARE 100% SAFE FOR YOUR SKIN. 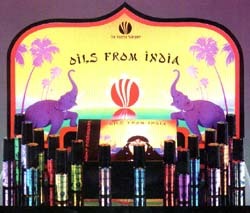 Oils from India come in two sizes: 5 ml and 9.5 ml, both offering an applicator wand. Our Oils from India where chosen to compliment or smell like our incense. We have classified our oils into 3 categories: 1 - ESSENTIAL: The single fragrant extract derived from botanical substance. 2 - ESSENTIAL BLEND: A blend of two or more different essentials. 3 - COMPOUND: A blend of ingredients including natural and synthetic aromatics, vegetable oils, and other natural or synthetic substances which may be used singularly or in combination to enhance the perfume oil or render it suitable for application to the skin. Listed are our 5 ml sizes, the larger 9.5 ml size is in the same description.